Since college tuition costs keep rising, you’ll be happy to learn you can become a bookkeeper without investing in a four-year university degree. Bookkeepers are entry-level accounting clerks who are responsible for accurately recording all financial transactions in a company’s general ledger. Bookkeepers use basic math skills to enter payroll, purchases, invoices, and other payments into their organization’s databases. It’s their duty to produce the financial statements that accountants and managers depend on to evaluate the company’s monetary status. 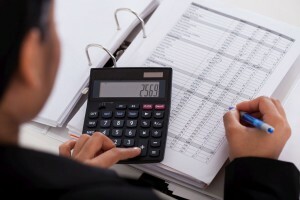 The Bureau of Labor Statistics predicts that the employment of bookkeepers will drop eight percent through 2024 due to automated computer software. However, bookkeeping jobs have a high turnover rate as clerks advance, so job openings will exist. The following article details the steps you should take to become a bookkeeper. Having a high school diploma may be sufficient for some bookkeeping positions with on-the-job training. Yet, most employers in today’s competitive financial market look for candidates with some college education. Earning a certificate or associate’s degree in bookkeeping will lay the foundation for employment. Some bookkeepers may also study accounting and auditing at a community college or vocational school. Make certain that the degree is regionally accredited by an agency recognized by the U.S. Department of Education. Bookkeeping curriculum should introduce topics like financial statement analysis, inventory management, payroll, internal controls, and fraud prevention. Taking computer science classes can be helpful for learning QuickBooks and Microsoft Excel. During your education, apply for internships and co-ops to gain practical hands-on experience with balance sheets, ledgers, invoices, and financial reports. Knowing how to track accruals and deferrals is necessary. You can then begin applying for open positions in accounting firms, private corporations, manufacturing firms, banks, government agencies, real estate offices, retail stores, securities brokerages, etc. After landing your first bookkeeping job, you’ll work under the guidance of a supervisor or experienced colleague to learn specialized tasks. On-the-job training can last anywhere from six to 12 months depending on your background. Having at least two years of full-time experience is required before progressing to the next step. Last but not least, you can prove your authority and know-how in bookkeeping by pursuing professional certification. Although this is optional, certification from the American Institute of Professional Bookkeepers (AIPB) can help unlock promotions and raises. Receiving the Certified Bookkeeper (CB) credential requires passing a four-part exam. Two parts are given at Prometric Test Centers across the U.S. and two are open-workbook tests. Multiple-choice questions will be about adjusting entries, error correction, bank reconciliation, payroll, depreciation, and inventory controls. Passing with a score of 75 percent or higher and signing a Code of Ethics is mandatory. Preparation guides are published online to make studying easier. Overall, bookkeepers are skilled entry-level accounting professionals who produce, organize, and update an organization’s books to help managers track financial spending. The average annual salary for bookkeepers is currently $38,070, or $18.30 per hour, according to the Bureau of Labor Statistics. A high school diploma is the minimum requirement, but those with a college degree can make over $56,470 yearly. Working in bookkeeping can provide the perfect stepping stone for a career in accounting, finance, auditing, or accounting information systems. After you become a bookkeeper, you’ll master the skills needed to maintain meticulous financial records.